You never know what is going to happen to you in these hidden object adventure games. You may end up in another world having to save somebody, for example. That is what happens to you in Otherworld: Spring of Shadows. 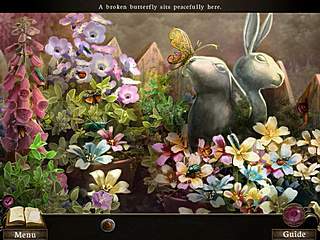 The game is mostly focused on adventure with few hidden object scenes and many interesting puzzles. You get into another mysterious world with the help of a locket. And as always you have a task in this place. Your mission this time around is to save a young girl from an evil shadow and take her back into this world. The game tell a sad story, but it is not all creepy and dark. The scenes are very fairy-talish and cute. They are more meant for those who appreciate the artistic work put into the game. This creates a perfect atmosphere with magical creatures and supernatural events. 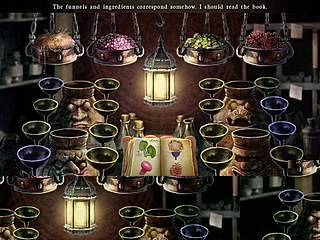 The game is mostly focused on adventure with few hidden object scenes and many interesting puzzles. The hidden object searches ask you to find usually many of one type of object. There is a great number of mini-games that are fun to play without walking away from the story. Everything fits together perfectly. The game has a strategy guide built into the game. That help is very easy to use and find the place where you are stuck in the game. Otherworld: Spring of Shadows is a very nice change from all the horror titles that we see these days. - Girl, I totally hear ya! I SO wish I could re-plan my wnieddg knowing what I know now. There are very special parts to our wnieddg i would never change like how we wrote our vows. But details oh man. I would change so many. So, my solution is we're gonna have a HUGE 10th anniversary vow renewal CELEBRATION! Woo!!! Complete with all the things I wish I'd done the first time. ha! This is Otherworld: Spring of Shadows review. Download this game here.